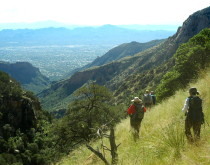 Circuit Hikes of Southern Arizona is an easy-to-use guidebook, describing the many circuit hikes hidden in the mountains surrounding Tucson and throughout southern Arizona. Pocket-sized so that it is easy to carry on a hike, the book includes 32 specific hikes with an additional two dozen options, with hikes ranging from so easy you can take your toddlers to so strenuous you will want to train for weeks beforehand. 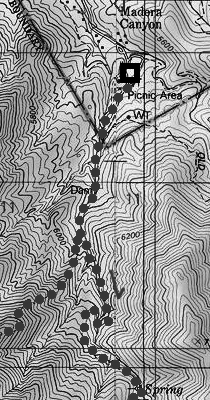 Each hike comes with an easy-to-read topo map, as well as detailed instructions for route-finding. The guide also provides information about the best seasons to do each hike as well as general information about the history and geology of the surrounding mountains. The author, Robert Zimmerman, is an award-winning science journalist and space historian who likes to spend his weekends hiking, caving, and in general exploring the hidden outdoor gems of the American southwest. For more information about his other writing and books see his webpage, Behind the Black. 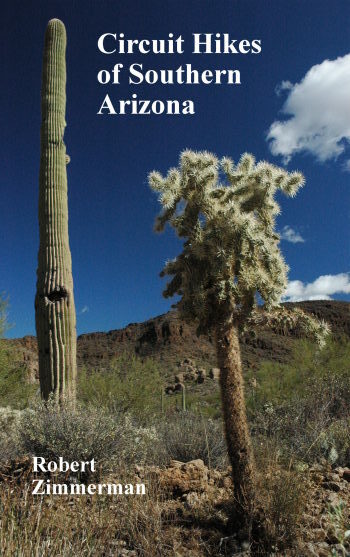 Circuit Hikes of Southern Arizona will also be available shortly as an ebook from all your normal ebook vendors. List price $14.95. Price if purchased here: $12.00 plus $3.00 shipping within the United States. If you wish to buy more than than one copy of this or any of Robert Zimmerman’s books, we will gladly combine shipping. To do so, please contact us at zimmerman at nasw dot org (replacing “at” and “dot” appropriately). I just wanted to say thanks for this great book that my family and I have recently discovered at Antigone’s on 4th Ave. We find this book easy to follow–for the first time we have had hikes where there haven’t been intensive discussions about being on the correct path. We however did want to give a small feedback about the Gates Pass Loop that we have just come back from today. Although listed as easy, we did find the footing very very slippery, the trail was very tight at times and and some of the climbs/decents were quite treacherous–this could be due to trails washing out or just our lack of skill, of course. However we would have greatly appreciated a small note in the description and (despite the isolation and great views) it might have changed our decision to do this particular trail. This is not meant as a criticism, just as a feedback from our experience today. However, again, we appreciate the hard work it takes to make a trail guide for people of all skill levels and the effort to make loop trails, keeping the path interesting most of the way! Thank you! If I had to guess, I would bet that the area where you had the most problems was from the Yetman saddle heading back to Gates Pass, the last part of the loop. This is a section of official trail, but it is also a section of trail that is very poorly maintained. I myself had to do it about four times to really remember the spots where the trail is easy to miss. I tried to warn people about this in the introduction to this particular hike, but probably didn’t make it clear enough. Thank you for letting me know. If you like the book so much, please consider posting a review on amazon.com. I would appreciate it greatly.